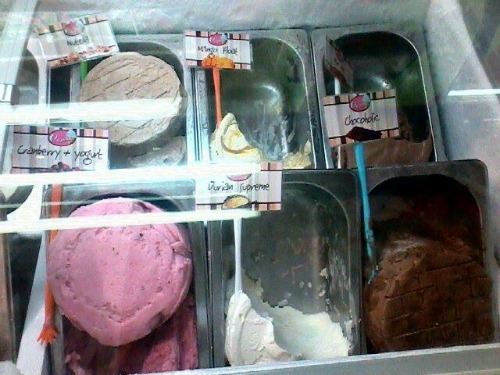 GELATO has been defined as a soft and more creamier ice cream containing little or no air. Gelato or Gelati in Italy is made with milk, cream and various sugar and flavoring such as fruits and nut purees. 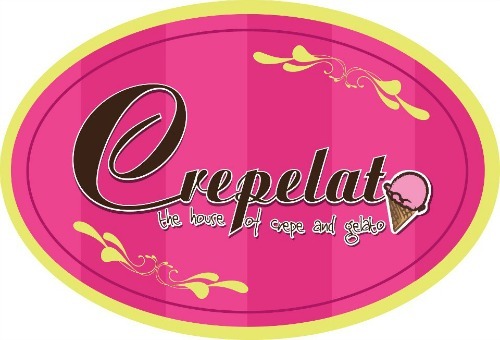 If you're looking for place that has the best CREPE and GELATO here in Davao City visit CREPELATO. 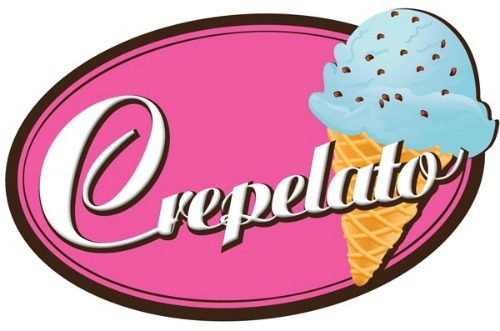 Crepelato is about delivering the finest crepes and gelato especially made just for you. Considering JUNE as the month of the rainy season but in between you still feel the summer heat of MAY still need to refresh yourself. I extremely feel tired and need to eat something that is healthy and refreshingly cold then I passed by at the CITY TRIANGLE and see a newly open ice cream stand, GELATEA by Crepelato. When you walked inside the City Triangle you will see a super cute little gelato spot that also serve meals, snacks, coffee and hot teas. Love to see the different flavors they have. All of which you love to try and taste but need to decide on the "one" of your choice. 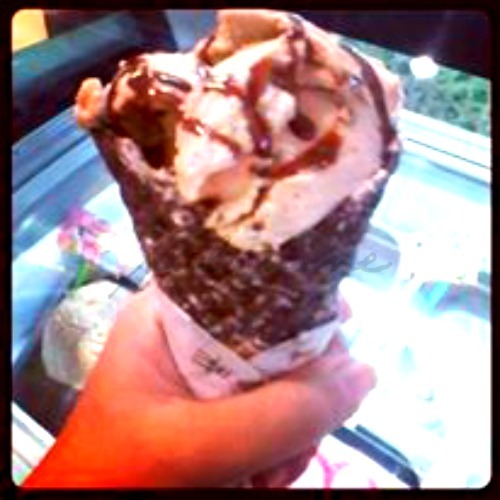 I choose to pick CAPUCHILLO GELATO with COOKIES and CREAM as my YUMMY GLAZE CONE. 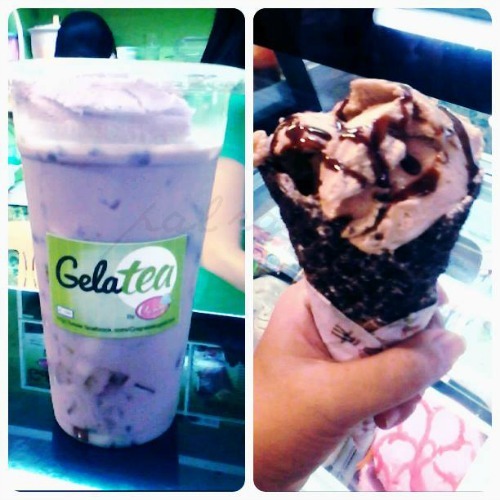 But because I am curious to taste their GELATEA a combination of GELATO and TEA. And was convinced by the owner she recommended me to try their TARO MILK TEA with GELATO and sinkers. The verdict: CAPUCHILLO GELATO, super rich and creamy and I love their cookies and cream glaze cone. 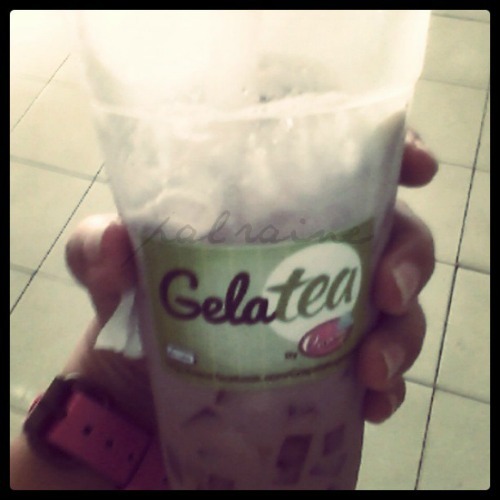 GELATEA, super rich and smooth. You can taste the TARO MILK TEA mix with the Gelato, the flavor is not that sweet so it's super refreshing. For me the two are the BEST PRODUCTS from CREPELATO. Customer service was great and they were awesome to answer all of my queries. The place is quite small, considering they are just renting the area inside the City Triangle wherein they have a large center space for common dining area. 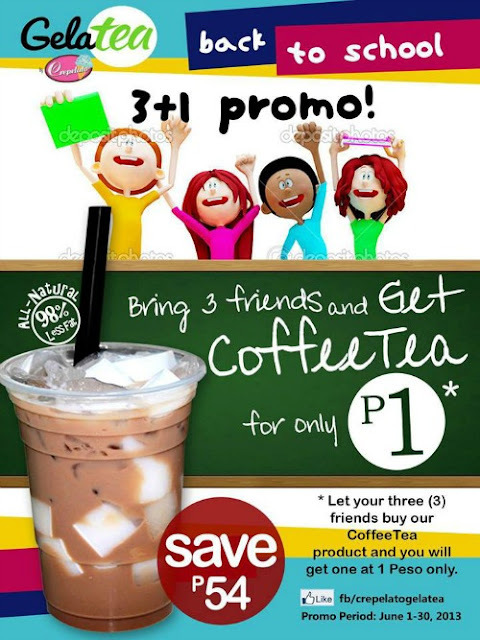 They have an ongoing PROMO as their treat to all of us from CREPELATO. You can visit their site at CREPELATO. This absolutely delicious - yum, yum, YUM! Gelato is really a craze in every where you go. 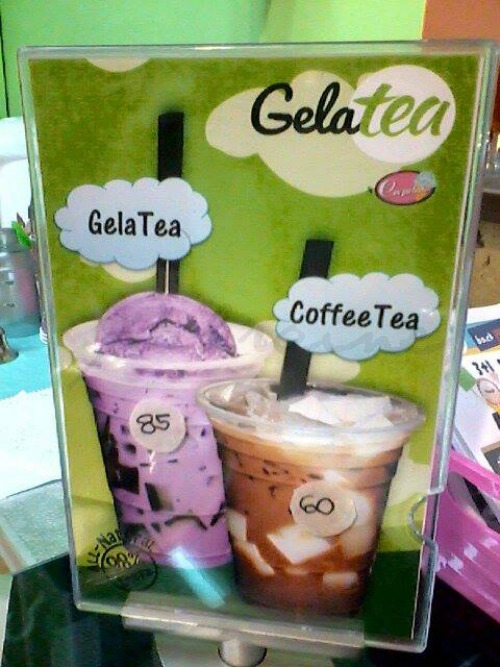 I think I will love the GelaTea. 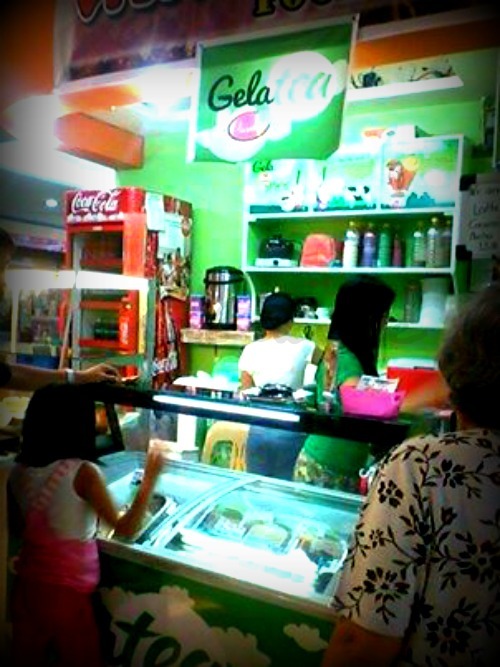 Me and Wifey are Gelato Fanatics, never been to visit this place when we are in Davao. At least we have something to look forward to. Yes Masquerade21 it come in Belgian cones flavored COOKIES and CREAM glazed cone. Ohh! Im interested with the coffeetea! Looks yummy. I never seen one like that here in Manila. Good dessert or snack. My kids loves ice cream but not really a fan of gelato probably because of the brand and the flavor. Oh wow, if there is such a thing for a leveled up divinity for food, this is it! Two of my most adorned food - gelato and crepe, is love! Wow! That looks delish. 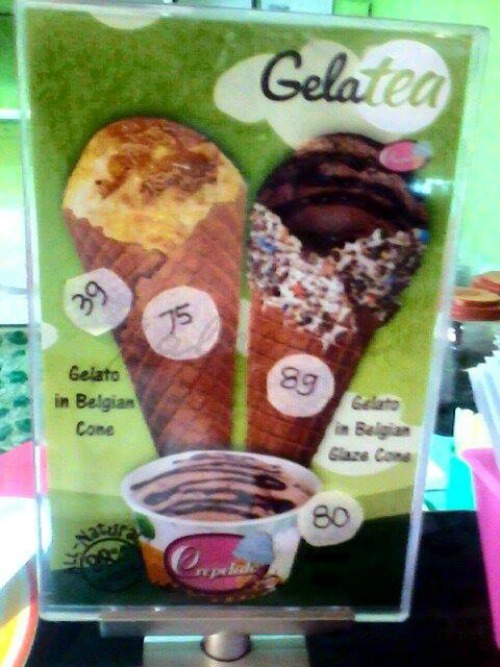 And the price is not steep compared to the gelatos here in Makati. I'm a sucker for gelato. That looks so yummy! I have to try that. 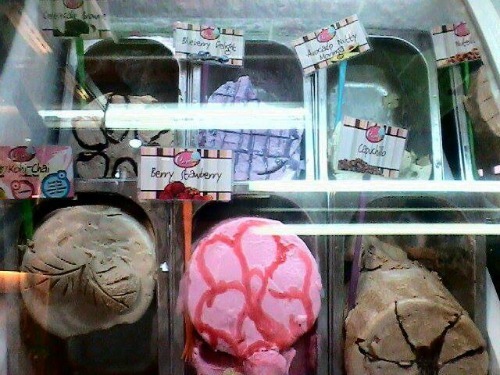 I love the flavors of this gelato joint because they are not those found in other ordinary ice cream shops.